Woodcliff Lake, N.J. – April 18, 2015… Bill Auberlen and Dirk Werner, driving the No. 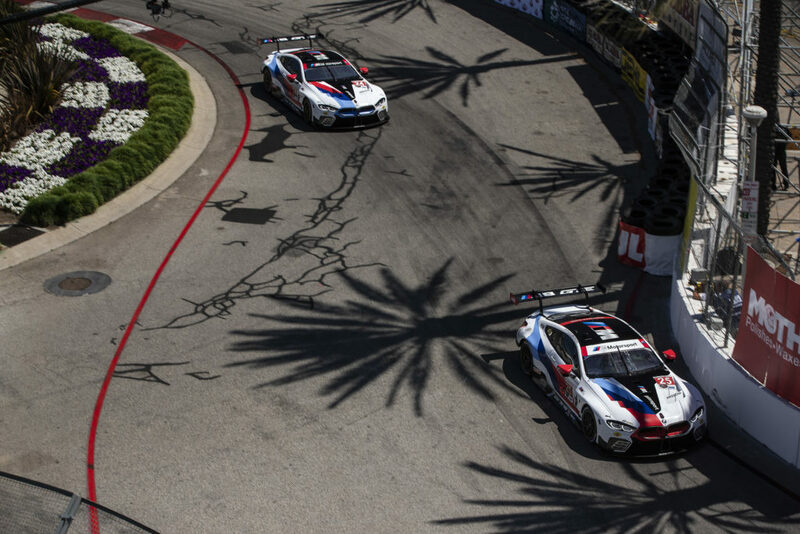 25 BMW Team RLL Z4, drove to a dramatic GTLM class victory today at the Sports Car Showcase at Long Beach. The duo completed 76 laps of the 1.968-mile, 11-turn temporary street circuit during the 100 minute race, finishing 2.9 seconds in front of the No. 62 Ferrari. 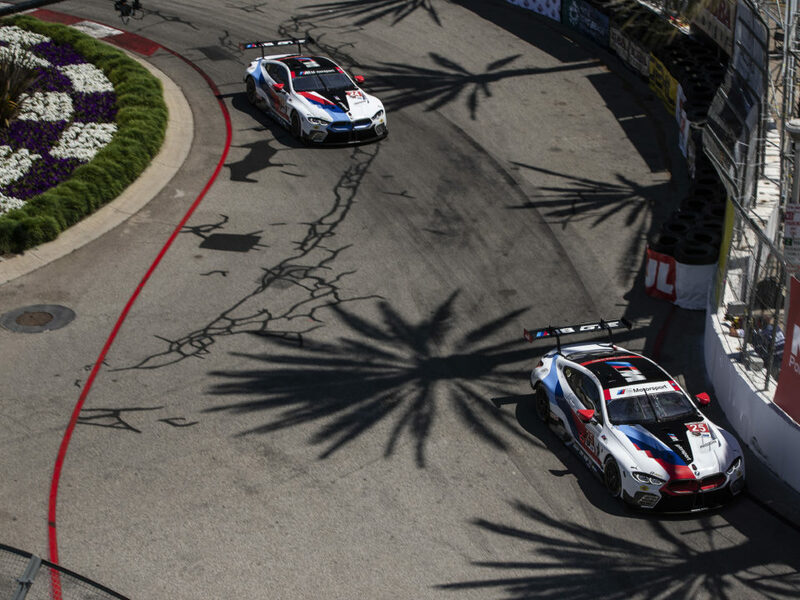 BMW Team RLL Victory At Long Beach; Auberlen and Werner win from pole, Edwards and Luhr finish fifth.The victory was the first for BMW Team RLL since a win at Lime Rock Park in 2013 and the 11th since the program’s inception in 2009. The win also moves Auberlen’s tally of all-time North American sports car victories to 54, second only to Scott Pruett (59). Auberlen started the race from the pole but both he and John Edwards, in the No. 24 car on the outside of the front row, were passed by the Ferrari on the first lap. Both BMWs held station for the opening stint with Auberlen the first in the class to pit on lap 31. A poorly venting fuel tank and slow fuel fill delayed Werner’s departure from the pits after he exchanged with Auberlen. He dropped to fifth place as Luhr, entering the No. 24 car on the next lap, benefited from usual quick team service and took over the second position. With one hour complete, Werner had made up all the time lost in the pits and had passed for fourth. On lap 45 he moved into third, only 0 .6 seconds from the 24 car, still in second place. Werner passed his teammate and set his sights on the Ferrari some eight seconds ahead. On lap 63 the German BMW Motorsport driver set a new race record (1:18.009 minutes) and two laps later drove past the Ferrari for the lead and the victory. Ultimately, John Edwards and Lucas Luhr finished a disappointing fifth after a suspected brake issue slowed Luhr in the closing stages of the race. 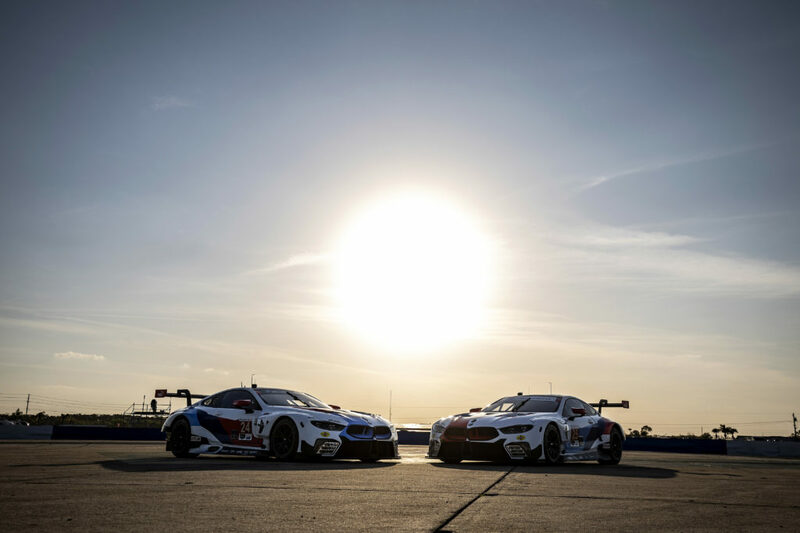 Unofficially, the win moves BMW into second place in the GTLM Manufacturers’ points standings, five points behind Chevrolet. 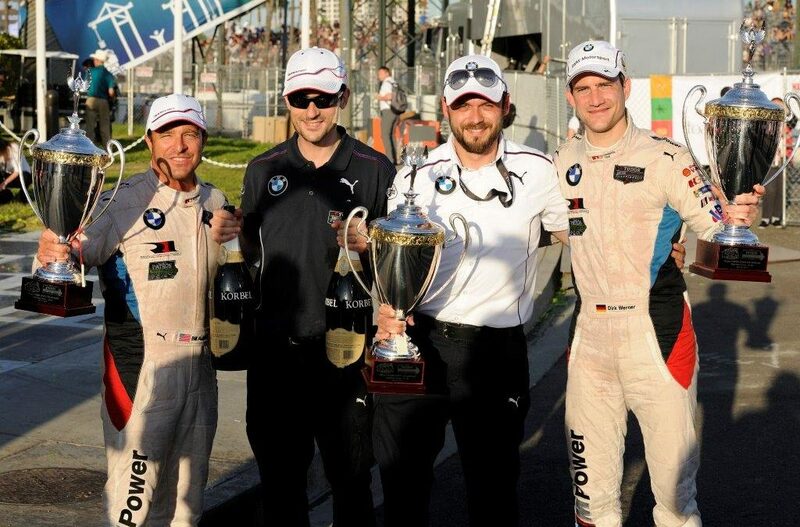 Auberlen and Werner move to second in Drivers’ points. Edwards and Luhr stand fourth. The 2015 TUDOR United SportsCar Championship stays on the West Coast for the fourth round, The Monterey Grand Prix, at Mazda Laguna Seca Raceway on May 3, 2015. The two-hour-and-forty-minute race will be broadcast live on Fox Sports One at 4:00 p.m. ET.